John Russell was most recently the President of Sandestin Investments, LLC. As President, Russell was responsible for all facets of this $90 million a year multi-property resort operation in the Destin area of Northwest Florida. Sandestin Investments LLC consisted of the 1200 unit Sandestin Golf and Beach Resort with four 18 hole golf courses, 66,000 square feet of meeting space, tennis, spa, two private clubs, beach services, transportation, retail and restaurants. Additional responsibilities included the 220 unit Cottage Rental Agency in Seaside and management of two Marriott properties at Grand Boulevard owned by the Howard Group. In addition, John Russell had oversight over three properties in Destin; Silver Beach Towers, the Palms, and Silver Shells. Prior to his role in Sandestin, John Russell was a partner and Vice President and Managing Director for the West Paces Hotel Group. This company was created by former Ritz-Carlton President Horst Schulze after he left Ritz-Carlton in 2001. A founding member of the company, Russell held responsibilities for multiple properties including the Hotel at Auburn University, The Partridge Inn located in Augusta, Georgia, and the Daufuskie Island Resort and Breathe Spa in South Carolina. From 1994 through 2002, John Russell was employed by The Ritz-Carlton Hotel Company. During this time Russell held General Manager positions at The Ritz-Carlton Tysons Corner; opening General Manager at The Ritz-Carlton San Juan and opening General Manager at The Ritz-Carlton New Orleans. Russell also held interim General Manager positions at The Ritz-Carlton in Seoul, South Korea and The Ritz-Carlton in Bali. Under Russell’s leadership, The Ritz-Carlton in New Orleans was awarded Five Diamonds by AAA in its first year of operations. Prior to joining Ritz-Carlton, John Russell was employed with the Hyatt Hotel Corporation. Russell held various room management positions cumulating in being named General Manager at the Hyatt Regency Savannah and was promoted in 1992 to General Manager of the Hyatt Regency St. Louis. Russell holds a Bachelor of Science degree in Marketing from the Smeal College of Business at the Pennsylvania State University. 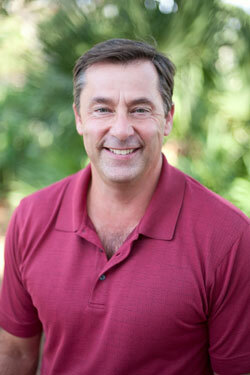 Russell is the former Chairman of the Walton Area Chamber of Commerce and the Destin Charity Wine Auction Foundation. While working at Auburn University, Russell was an Adjunct Faculty member of the College of Human Science and taught Hospitality Finance for the Hotel Program at Auburn University.